Thanks to all the kind publishers and even kinder publicity and media types who facilitate us reviewers and bloggers, I received a few great (e-copy) books recently. 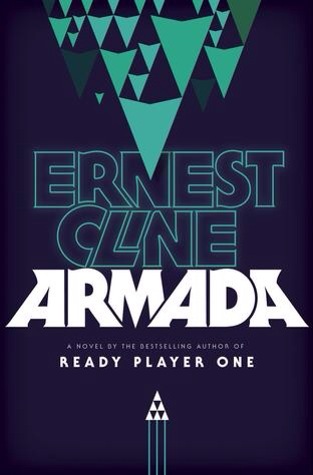 Ready Player One is amongst my favourite books, so the next novel by Ernest Cline is a must. Check out the blurb.. 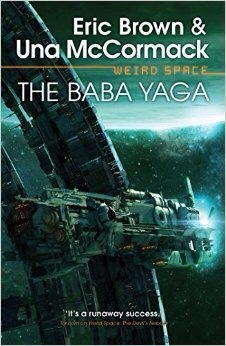 Written by a former Canadian Naval officer, I’m expecting top-notch military sci-fi. Check the blurb.. The Terran military, the Astral Force, launches a mission to crush a colonial rebellion on the Centauri colony. Although Expeditionary Force 15 succeeds, the surviving veterans remain scarred—physically and emotionally, and the consequences of their actions follow them back to Earth when terrorists seek to exact catastrophic revenge. Lieutenant Katja Emmes is a platoon commander, leader of the 10-trooper strike team aboard the fast-attack craft Rapier. Although fully trained, she has never led troops in real operations before, and lives in the shadow of her war-hero father. Sublieutenant Jack Mallory is fresh out of pilot school, daydreaming about a fighter pilot position in the space fleet. He is in for a rude awakening. Lieutenant Commander Thomas Kane uses a six-month deployment in command of Rapier is to secure his rise to stardom within the Astral Force. He also plays the subtle politics of the military. I’m oddly fascinated by the idea of shared world fiction and the authors who end up working as “hired guns” for these franchises. Una McCormack, who has written for Star Trek and Doctor Who and is no stranger to these settings, is now about to embark on a visit into Eric Brown’s sci-fi series Weird Space. Check out the blurb below for McCormack’s debut under the Abaddon banner..
What would you sacrifice for your family? What would you sacrifice for peace? Delia Walker has lost her job, her love, and the life she knew. What she’ll find in its place may be the future of us all. The growing threat of the dimension-invading Weird has driven the Expansion government to outright paranoia. Mandatory telepathic testing is introduced, and the colony Braun’s World – following reports of a new Weird portal opening – is destroyed from orbit, at an unimaginable cost in lives. Delia Walker, a senior analyst in the Expansion’s intelligence bureau and a holdout of the pragmatic old guard, protests the oppressive new policies and is drummed out. Sure there’s a better way, she charters the decrepit freighter the Baba Yaga and heads into the lawless “Satan’s Reach,” following rumours of a world where humans and the Weird live peacefully side by side. The blurb for Adam Christopher’s The Machine Awakes hooked me in. Even though I’d not read his first in the ‘Spider Wars’ saga in which this novel was set, I was intrigued to get to grips with the interstellar war raging between humanity and the machine AI called the Spiders, the secrets and horrors hiding within Jupiter’s atmosphere and the mystery behind the assassinations of Earth’s leaders. Christopher takes a long time to uncover these plot points but it is a classic tale of intrigue and double blinds. Using an array of characters, we are introduced to Kodiak, a Fleet Bureau investigator who is initially undercover, and Caitlin Smith, a rogue psi-marine cadet who is aiming to murder the Fleet leader. Both, however, are sent on wild goose chases as they try to get to the truth of the matter. 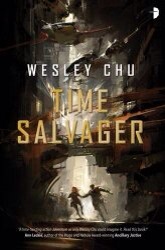 It’s here that the story becomes convoluted, pushing the characters down dead ends for seemingly little reason. But, at the core of the book is a very interesting story and one that does pay out. What starts as a sort of police procedural with Kodiak and his partner tracking down Smith, turns into a ‘whodunit’ when it’s clear that the assassinations were an inside job. The story then unpacks itself to reveal that it’s something else entirely, with a corrupt mega corporation behind all the evil shenanigans. Personally, I really wanted to find out how the novel tied everything together and I really enjoyed following Kodiak on his journey. I did feel that, for my tastes, there was a little too much fat to the book as certain things were over-explained or retold to the detriment of the story’s pace. Plus, and this is me probably being pedantic, there was a sort of verbal tick in the book that once I noticed I couldn’t overlook (though I won’t say what for fear of influencing your own reading). Kodiak is a great character and the premise of alien machines vs. humanity is dealt with in a refreshing light. It’s all set up for more as the ending is suitably super-villain-esque. 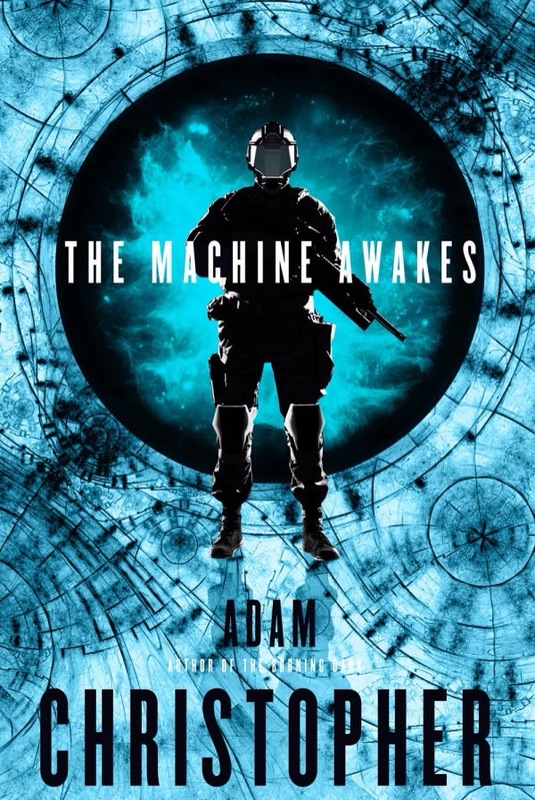 All in all The Machine Awakes is a great slice of sci-fi. Weirdly, I’ve been looking up books I read as a youth – mainly pulp fiction – and Sven Hassel was just one of those authors that I got my hands on as a ten-year old (who knows where my parents were!). 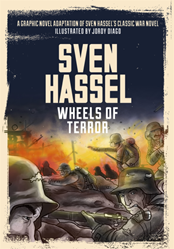 Gollancz have recently released news that Weidenfeld & Nicolson, an imprint of the Orion Publishing Group, has acquired World Rights to publish an illustrated version of Sven Hassel’s iconic war novel, Wheels of Terror. 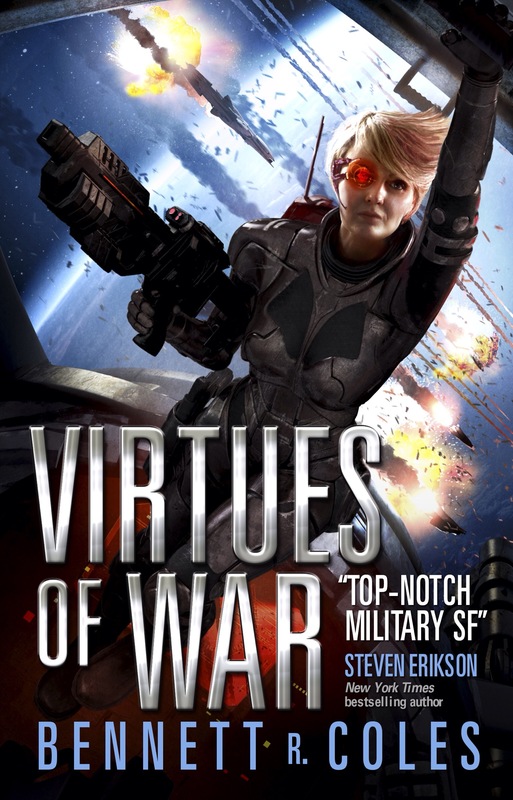 Contention regarding the author aside, these books were brutal, thrilling stories about war. The misfit bunch of soldiers Hassel depicted were captivating and, hopefully, the graphic novel will do them justice. Wheels of Terror will be published to mark the 70th anniversary of the conflict’s conclusion, released on October 1st. Indie Developer Liber Primus Games, developer of the Narborion Saga, in collaboration with Gollancz, an imprint of the Orion Publishing Group, announced today that a new handheld fantasy adventure app, based on the bestselling Richard Morgan trilogy of books A Land Fit For Heroes is coming to the App Store for iPhone, iPad, iTouch as well as Amazon Kindle Fire and Android on Google Play. A PC version of the game-book will be available on Windows PC for Steam. The game-book, A Land Fit For Heroes, will be produced in collaboration with Richard Morgan and the story will run parallel to that of the first volume in his book trilogy, The Steel Remains. Morgan’s dark and violent fantasy trilogy series of books, published by Gollancz, also features titles, The Cold Commands and The Dark Defiles, which will set a much darker tone than that of typical game-books traditionally aimed at a younger audience. 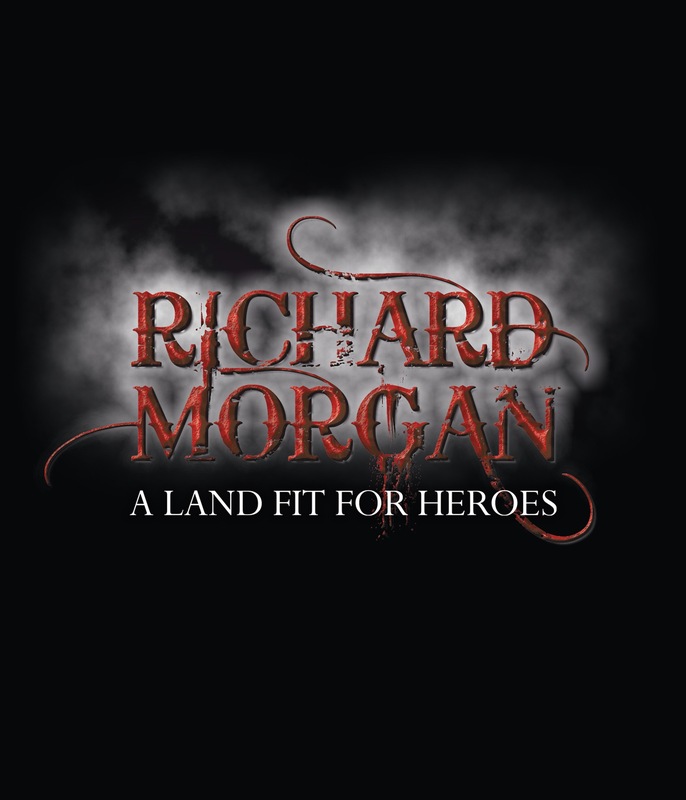 Richard Morgan said: “I’m extremely excited about this collaboration on A Land Fit For Heroes as a game-book. It’s a fresh format of storytelling for the trilogy and one I’m really looking forward to developing with Liber Primus Games over the coming months”. Traditional paperback game-books or CYOA (Choose Your Own Adventure) books, as they were also called, were popular during the late 1980’s and early 1990’s and have seen a digital revival of late. A Land Fit For Heroes aims to engage a more mature audience based on the dark adult themes and characters in the books. Based on Richard Morgan’s trilogy of dark fantasy novels, A Land Fit For Heroes is the new interactive game-book experience telling the story of three unlikely heroes with three interlocking storylines. Kirellin of House Caith is a skilled war veteran, Calnar is a young Majak warrior and Ilaria is an accomplished thief. Each of their paths will cross in this adventure where they are tested to the extreme – but wherein the reader decides upon their fates. Children go missing in the marshes. Ancient spirits awaken. Powerful machine-demons manipulate the fate of mankind. But all of this is just a game for even darker forces. In the first of its kind, bestselling author Richard Morgan brings his trilogy of novels to life as a three-player game-book set in the world of A Land Fit For Heroes. I was trying to explain to my wife what had me so enthralled by this book and all I could think of to say was, ‘go read it!’ But, that’s not a very helpful review. I also thought about explaining it as a blend of Neal Stephenson’s cyberpunk best and Richard K Morgan’s great Kovacs novels. But, I don’t really like making those similarities as a rule. 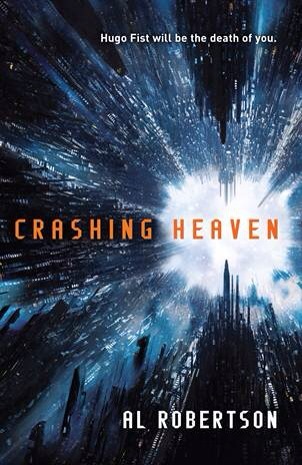 So, check out the blurb and then I’ll take a crack at explaining my experience at reading the excellent Crashing Heaven. There’s so much to say about this novel; so many great bifurcations from the main plot that paint an impressive and wonderful universe, it’s hard to know where to begin. Al Robertson is one of those writers who can create worlds out of throw-away sentences. Casting so much information against the powerful churning of his story that, as a reader, you yearn to know more. The narrative between Jack and Hugo, accountant and warrior software respectively, is beautifully crafted, mirroring a buddy cop movie over the hardboiled detective story. The stunning background of life on ‘Station’, an asteroid world, and the ruling, corporate gods (AIs who manage humanity) is captivating. The metaphysical ideas of artificial and biological life, of minds as patterns and codes, that runs throughout the book are deftly handled. And, finally, the page turning plot of mega-corporate corruption, of media propaganda and consumer blindness, of immersion in the virtual and the elision of facts and truths, of political power plays at the expense of lives, cuts close to the bone of our own modern world. In short: read the book; it’s awesome. Crashing Heaven is a hardboiled detective novel set in an unparalleled cyberpunk space that stars a jaded accountant who has a virtual, psychotic puppet attached to his mind…what’s not to like? Gollancz are publishing the final part in Stephen Deas’ dragon trilogy with the header that it is “shocking..brutal and gripping.” Higher praise in fantasy does not come often and now I really want to get all trilogy. Humanity has long grown used to a world without gods and their terrifying dragons. But now, the dragons have awaked, the hole in reality is expanding and the shackles that kept the half-gods controlled have been broken. The Silver King is returning. 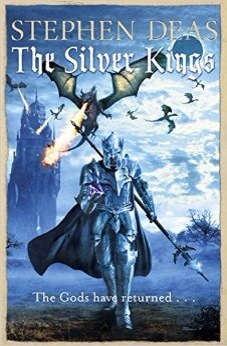 Half-god, legend and myth, The Silver King once fought his brother, the Black Moon, and his dragons and lost. As The Silver King retreated, the Black Moon was also weakened, and now, a millennia later, The Silver King is back for vengeance. The Black Moon lives on in the body of Berren Crowntaker and he’s seized power. Now, with the Dragon Queen at his side, an army of men behind him and dragons soaring overhead, he goes to war with his brother to settle the score once and for all. The worlds are turning, and only one thing is sure – there will be an ending. Solaris Books are starting and ending two intriguing series. 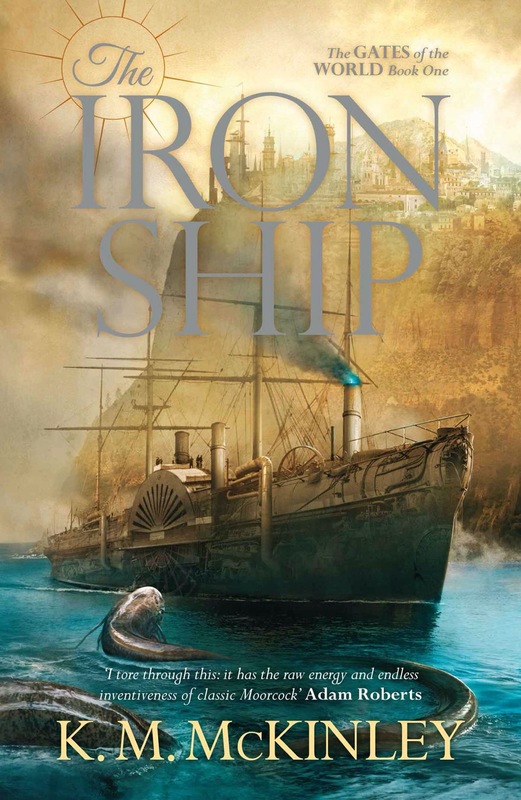 First up, K. M. McKinley begins with the first volume of The Gates of the Word, The Iron Ship. 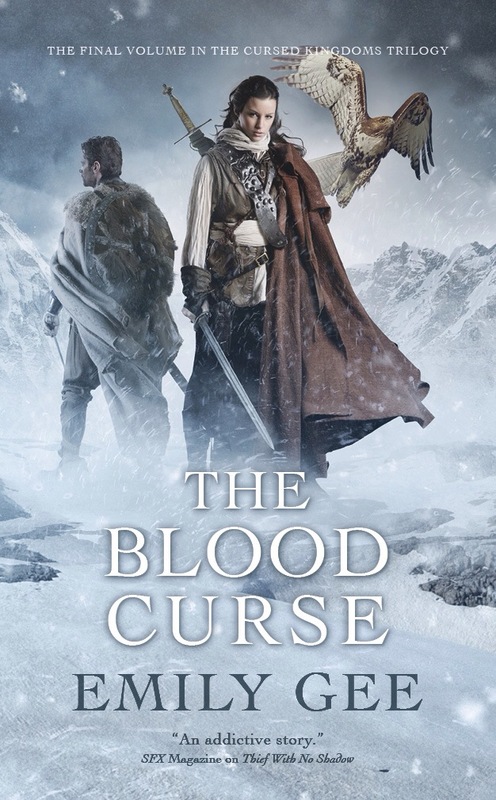 Emily Gee’s final volume of The Cursed Kingdoms trilogy: The Blood Curse will bookend this spring month for the publisher. Check out blurbs and covers below.. Merchant, industrialist and explorer Trassan Kressind has an audacious plan – combining the might of magic and iron in the heart of a great ship to navigate an uncrossed ocean, seeking the city of the extinct Morfaan to uncover the secrets of their lost sciences. Ambition runs strongly in the Kressind family, and for each of Trassan’s siblings fate beckons. Soldier Rel is banished to a vital frontier, bureaucrat Garten balances responsibility with family loyalty, sister Katriona is determined to carve herself a place in a world of men, outcast Guis struggles to contain the energies of his soul, while priest Aarin dabbles in forbidden sorcery. Those who drink the water shall thirst for blood. They shall be as wild beasts. can destroy it. Guarded by Sentinel mages, pursued by Fithian assassins, he begins the final—and most dangerous—stage of his quest: entering the cursed kingdom of Sault, where drinking even one drop of water means madness and death. But the mages aren’t the only travelers heading east. Princess Brigitta, abducted by the Fithians, is also bound for Sault—unless she can escape. And in close pursuit is her loyal armsman, Karel. Young orphan, Jaumé, is also headed for Sault—where he will be forced to make decisions that will change the fate of the Seven Kingdoms forever.